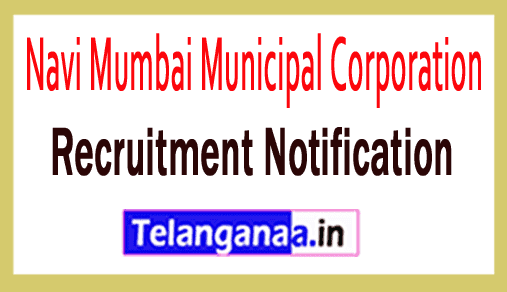 An existing advertisement for NMMC recruitment has been broadcast by Navi Mumbai Municipal Corporation. Achievement oriented and skilled candidates will have to submit their application for 448 posts of Fireman Defenders, Employees Nurses / Nurses Midwife, ECG Technician till the end of 21st September 2018. Jobs Hunter who wants to make a career in the government sector, can apply against NMMC jobs and can get the remaining information about NMMC recruitment 2018 from this page which is provided by www.telanganaa.in team. Academic Description: Candidates have 10th / ANM Course / 12th / GNM Course / BSc (Nursing) / Bachelor Degree (ECG Tech Course / Lab Tech Course) / B.Sc. (Applied) / Bachelor Degree (as per Station Officer Post Instructor courses / departmental fire officer courses / fire engineering from recognized board / university / institute). Candidates applying for the said post and belonging to the Unreserved category, they have to pay the application fee. 400 / -. Candidates are related to reserved category Rs. 325 / - in the form of application fee. Participants interested in applying for any of the above positions should be given 18 to 45 years (Post 1), 18 to 40 years (post 2), 18 to 30 years (post 3-5), 18 to 38 Should be between years (6-11 post). Salary Package: Those applicants, who will be successfully admitted against NMMC, will get the salary of rupees. 9,300 - 34,800 / - 4200/4300 / - Grade Pay (post 1,2,6-9), Rs. 5,200 - 20,200 / - 2000/2400/2800 / - Grade Pay (3-5,10,11) From recruitment organization. The job hunter will be selected on the basis of their performance in the online examination, physical measurement examination and physical fitness test organized by the selection examination. To open the official site of http://www.nmmc.gov.in, you must first open all the applications. Last date for online application is: 21-09-2018. Date of the written examination: 13-10-2018 to 16-10-2018.